It looks like it's going to be another neon filled Summer, and mark. 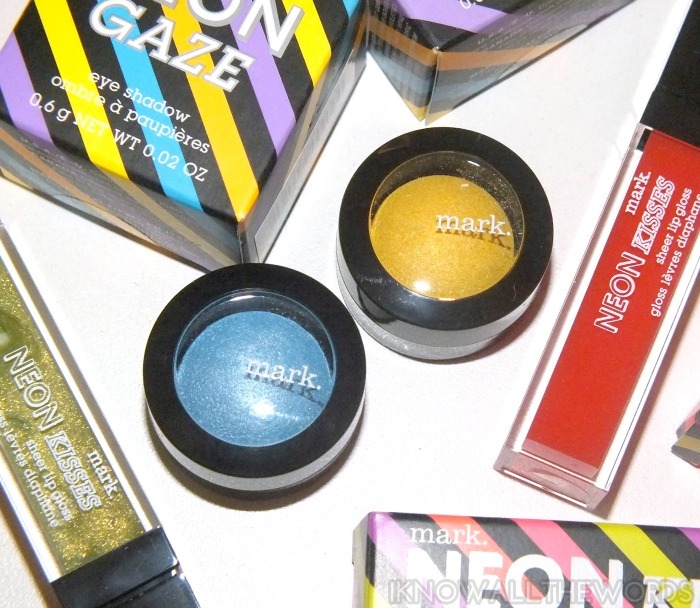 has their hat in the ring with a selection of fun neon hued products. Read on for a peek at mark. 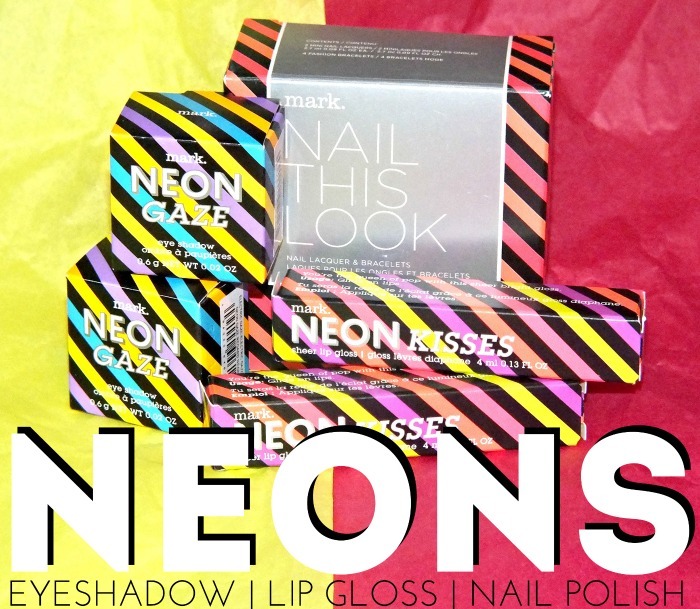 Neon Gaze Eyeshadow, Neon Kisses Sheer Lip Gloss, and a neon themed Nail This Look Nail Lacquer and Bracelet Set. mark. Neon Kisses Sheer Lip Gloss are just that, sheer lip gloss. They look very bright and intense in the tube, but apply with just a hint of colour. Twisted Lime is a very sheer green with silvery shimmer, while Wild Orange is a sheer orange gloss that gives lips a coral hue. The gloss is pretty standard in terms of texture, but not too sticky, and has a toasted-marshmallow like scent. These are also available in Neon Kisses, a sheer bright pink, and Grape Ice, a sheer purple. 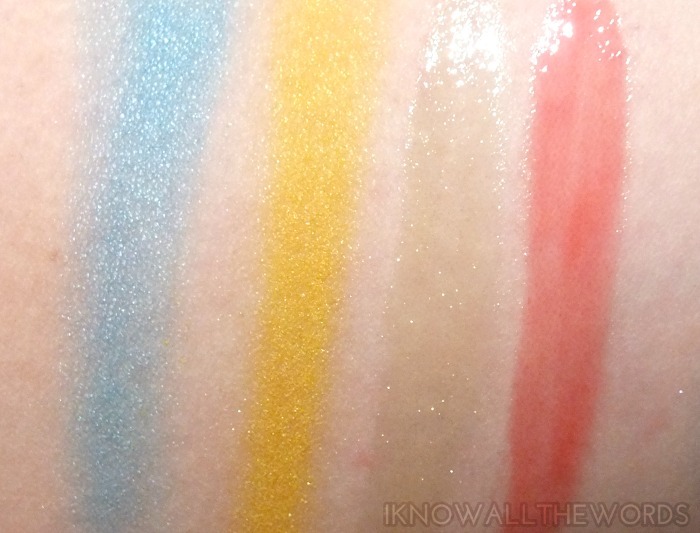 For the look above, I was actually going to use Neon Gaze with neutrals, but once I had it applied on the lid- applied wet for the most pop- I decided I might as well go bright. 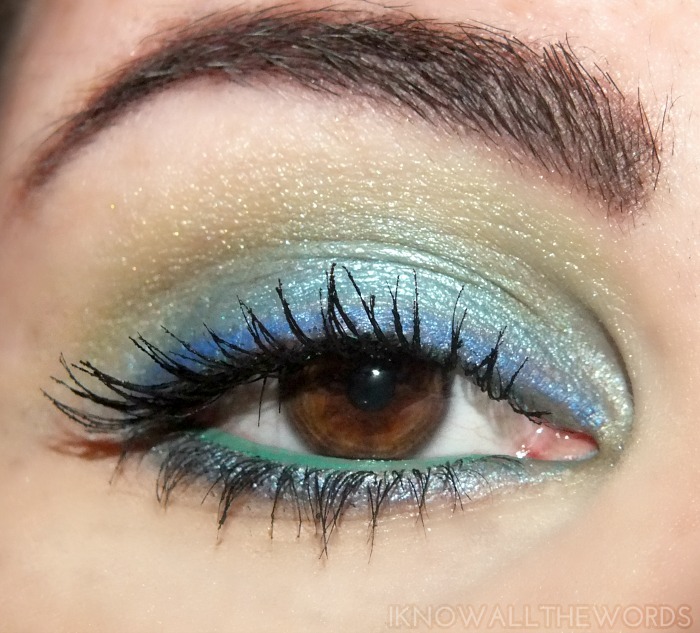 I used Sun Flash in the crease dry, which blended into a lime green shade, which inspired my liner choice of Stila Emerald in the bottom waterline. Since Neon Gaze ended up looking more turqoise once on, I thought I should add a bit more blue, so I added Annabelle Lapis. While this isn't a look I'd normally wear, it was totally fun and perfect for the Summer! 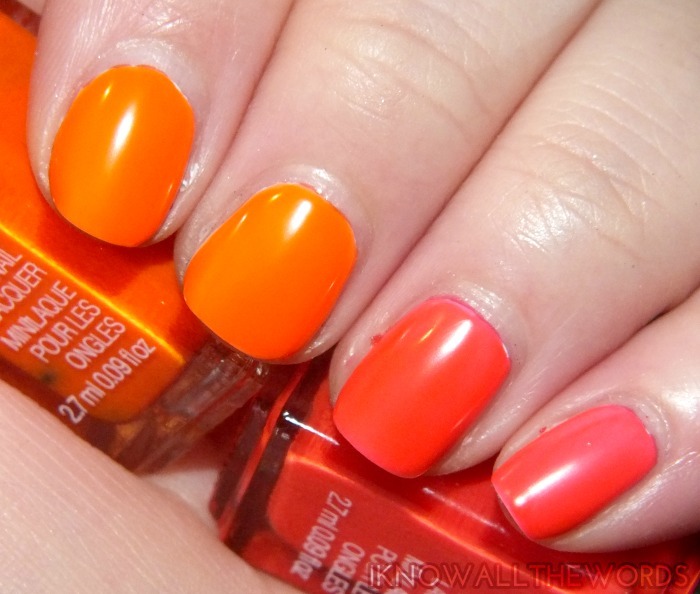 Of course, what neon collection is complete without nail polish? The mark. Nail This Look Nail Lacquer set includes two mini bottles of neon polish (they're large enough for ten manicures each) and four stretch bracelets- two neon and two with clear stones set in goldtone metal. The polishes are super bright and both have a swishy, jelly type texture, and dry semi-matte and are best applied over white. Orange Blast is a crazy bright orange shade while Pink Spark is a slightly coral leaning bright pink. It does read more pink in person than in photos. 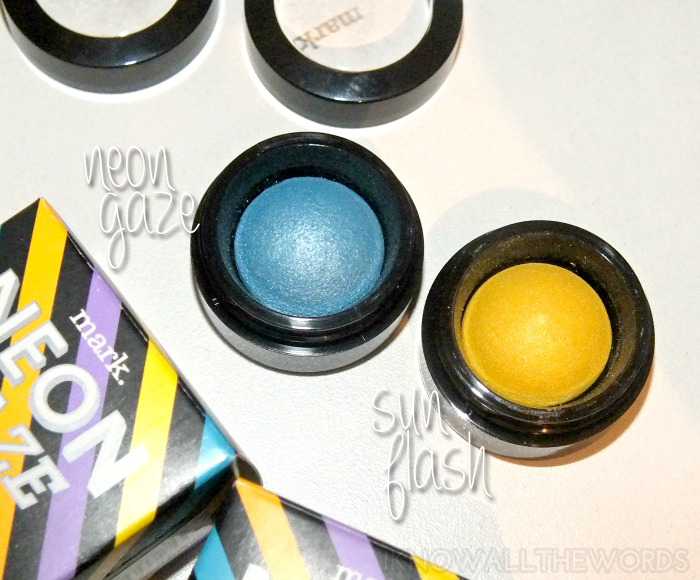 The mini bottles are perfect if you're not a complete fan of neons but want to test them out. Overall, so great neons to add to your stash. Anything interest you? Are you a fan of neons?